Local range used P07 for sale - worth it? 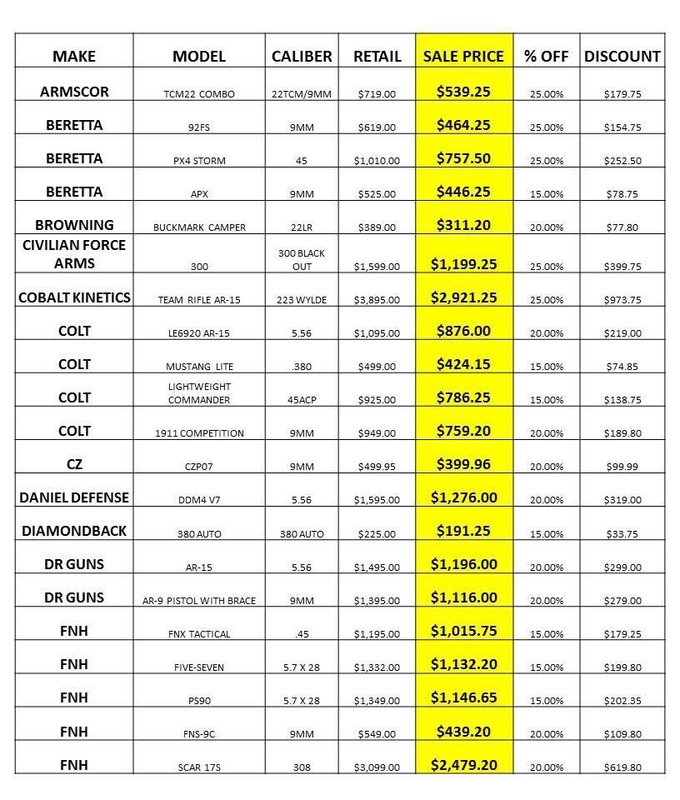 Just found a local range has a sale tomorrow on a lot of range guns. Wondering if $399 is high for a used P07, not knowing how many rounds are through it. It’s a good range, so hopefully reasonably maintained. Thoughts? Re: Local range used P07 for sale - worth it? If you go to gun.deals you will find many CZ P-07's new in the box for in the low 400's, so I definitely wouldn't pay $399 for a heavily used one that comes with no warranty. I worked a rental range - rental guns are beat to death with minimal cleaning or maintenance. She may need a complete rebuild, or she may have a low round count, no way of knowing. I don't see any prices listed there that I would consider a deal, especially since they've all been rode hard and put up wet. Thanks all for the advice. There’s three more pages of guns for sale and just a couple jumped out as possibilities. Will sit on the wallet. Another pay check saved for now! unless its 40% off i wouldnt touch anything range used. If you live close to an Academy Sporting goods store you can probably get a brand new one for less. I’ve regularly seen sub $399 brand new ones. I wouldn't even consider that to be a "deal." As others have said, you can easily do better. My local range is also a dealer and in the past they have had NIB P-07's for $399. That's no deal even on a low round count gun. Nope, not a good deal. I know you are looking at the used P07. I have seen NIB P09 9mm for $375. As others have stated, Best to shop around for the best deal. Deals are out there. Too high for a range use P-07. Just my opinion.